For the second day in a row, Kate got up early. I was especially glad because she had a 10:30 appointment with her ophthalmologist. It was her final follow-up visit after her cataract surgery. I planned to wake her about 9:00. I knew even that might cause her to rush. I also assumed we wouldn’t have time to get her a muffin before the appointment. It turned out we didn’t need to rush at all. She got up at 8:00. That enabled us to stop by Panera for her muffin and work a few jigsaw puzzles before hand. We were early enough to see several people in the Catholic group that comes regularly after morning mass. It has been several months since we have seen the Baptists who have Bible study on Tuesdays from 9:30 to 10:30. I have heard indirectly that they have been asking about us. The good news about the doctor’s appointment is that she said Kate’s eye had healed nicely. She also removed a stitch she had put in to protect the implant if Kate had forgotten she wasn’t supposed to rub her eye. That turned out to be a good plan. Testing her eyesight is almost impossible. Although she tested at 20/50 a month ago, she didn’t do as well two weeks ago. Yesterday was even worse. It is hard for her to know how to follow instructions and where to focus. They finally took her to another room where they were able to test her through digital technology. Yesterday afternoon, we drove to North Carolina, to attend a show at the Flatrock Playhouse. On the way, Kate repeatedly asked where we were and where we were going. At this stage of her Alzheimer’s, it is simply impossible for her to remember things like this. Her brain won’t “allow” it. We also had one of those conversations in which we talk about about our marriage, our families, and the many experiences we have had followed by her asking my name and her name. As usual, she asked without any sense of frustration or concern. She just wanted to know. I never mind her asking. It’s those times she is troubled by not knowing that bother me. We had one of those later in the evening. We made this trip at the invitation of a couple we know from Casa Bella. We have attended one other show at the Playhouse with them in the fall. Kate, of course, never remembers them, but she enjoys being with them. They are friendly people, and she feels comfortable with them. Last night’s performance was the comedienne Jeanne Robertson. This was the first time time in our marriage that we had attended a performance by a comic other than as part of a variety show on a cruise. Kate doesn’t generally take to comedians, and I was worried that she wouldn’t enjoy her. Before accepting the invitation I looked at a couple of YouTube segments of some of her other shows and decided it was worth a chance. I’m glad I did. Kate thoroughly enjoyed it. I am sure she didn’t understand much of it, but a good comedian is successful for much more than the exact words. She enjoyed it so much that I was a bit surprised when we saw Robertson in the lobby talking with others who had attended, and Kate had no idea who she was. That was true even after I explained that she was the one we had seen on stage in the auditorium. As we walked to dinner and from dinner to the Playhouse, Kate whispered to me, “Where are we?” She repeated her question a number of times as well as when we went to our hotel for the night. When we got to our room, she said, “I sure am glad I’m with you. I have no idea where I am.” That was the beginning of a lengthy conversation that continued off and on for about an hour. She said, “I want you to know how much I appreciate what you do for me.” I told her that everything I do for her is because I love her. She was a bit teary but never broke into a full cry. 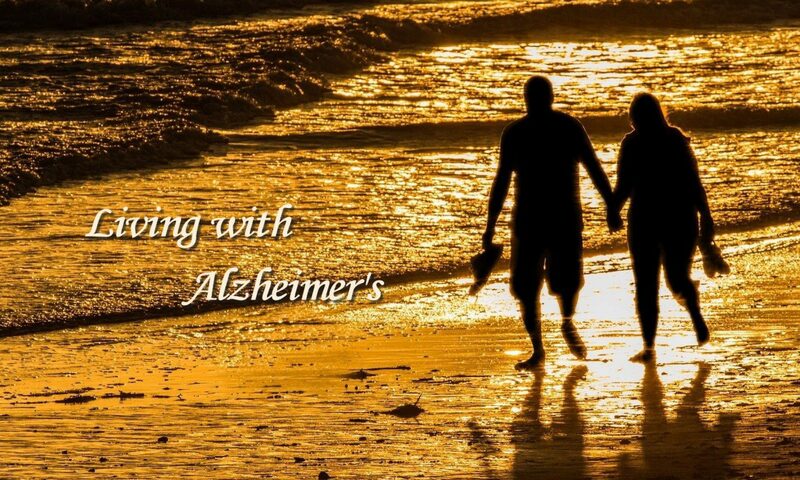 During the early part of the conversation, it sounded like she understood that she has Alzheimer’s. She said things like, “You’re the only one who knows what I am going through, and I even have trouble remembering your name. I do sometimes, but . . .” As she talked a little more, I learned that she was disturbed because she has lost “so many of my family.” She was worried that she had not done enough for them. I tried to encourage her. I reminded her of the way she had cared for her mother and how good we both felt about having her in our home the last years of her life. On this particular trip she seemed to be less at ease in a strange place than at any other time. I’ve been looking for this on our previous trips but haven’t observed it. I’m not even sure about this one, but a few times she said, “I’ll be glad when we get home.” One of the reasons it is hard to determine if it is uneasiness about being in a strange place is that she sometime says the same thing when we are at home. In those cases, I don’t know if she thinks we are in Texas and wants to go to Knoxville or if she understands we are in Knoxville and wants to go home to Texas. When I got ready to shower, she asked if it would be all right if she worked on her iPad. I told her that would be fine. She said, “Are you sure?” I told her this was a time she could relax and do whatever she wanted. I reminded her that we had no commitments in the morning, and she could sleep as late as she wanted. It wasn’t until we turned out the lights and were in bed that she said, “Thank you. I’m beginning to relax now.” She continued to talk for a while. Then she drifted off to sleep. She slept until 5:00 this morning when she got up to go to the bathroom. When she got back in bed, she wanted to know “Where are we?” I told her, but she asked several more times. It took her a good while to get back to sleep. It is now 9:45. She is still sleeping soundly. If she doesn’t wake before, I will get her up around 11:00 so that we can get home early in the afternoon. Considering everything, it was a very good day. She was in a good humor and enjoyed herself. She seems comfortable with the friends who invited us and loved the show last night. What more could I ask this long after her diagnosis? We continue to have good times. How fortunate we are.